We are a Mama + Pop popcorn shop. 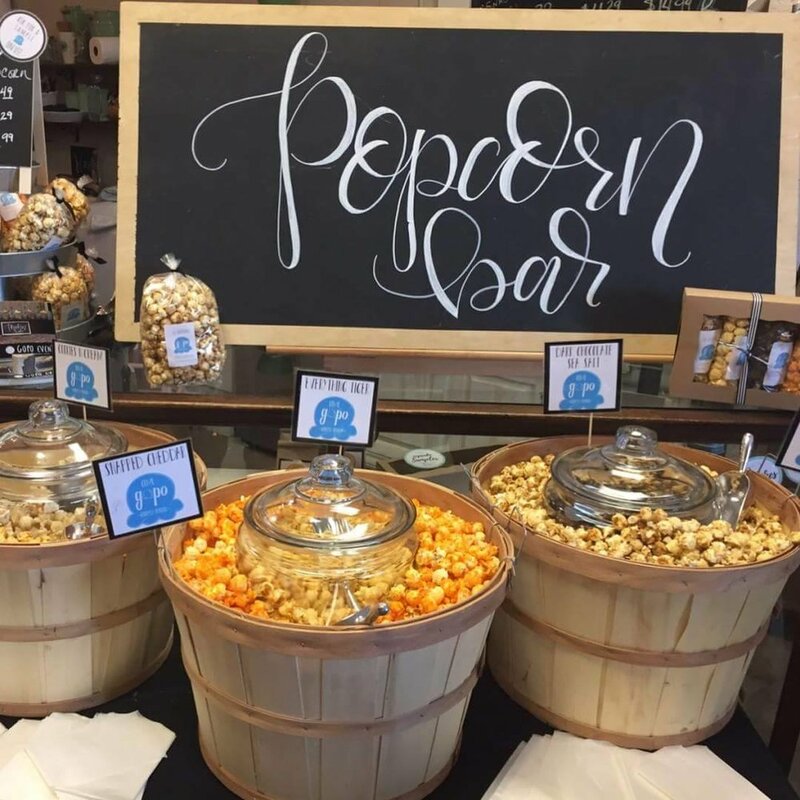 Book a GOPO Popcorn Bar for your next event and let your guest munch on some popcorn throughout the evening. Need a GOPO fix right now? Order online or stop into one of our shops in Mid-Missouri. "This popcorn is truly unique and delicious. Not just a snack, but an experience! The snapped cheddar is addicting! Their 'Merica tasted just like a bomb pop, and the cookies n cream is such an indulgent and yummy treat. All Made in small batches. Highly recommend this local business."